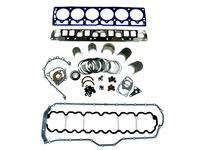 If you need a Ford 1.3 Festiva 1988-2/1/1992 engine kit, Take a look at this!! The lowest price kits out there with brand name components. 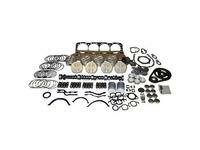 Northern Auto Parts Kits come complete with top quality Name Brand parts from: Federal Mogul, Sealed Power, Mahle, Mr Gasket, Hastings, Melling, Pioneer, Perfect circle, Clevite, Victor Reinz, and Fel-Pro. You will not find a more complete, less expensive kit with the name brands we offer, out there anywhere, period ! Most kits have Option upgrades allow for substitutions at the cost indicated. Need oversized pistons? make sure to match your rings to the piston, over-size. 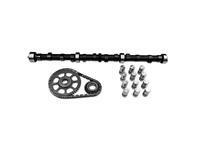 When replacing your camshaft with a higher lift cam always buy matching springs. Surface With Any Type Of Abrasive Pad Or Paper.